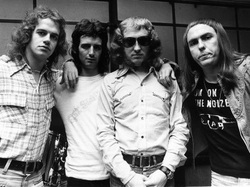 I first became aware of Slade relocating from their Midlands roots in 1974. I had been at their Friday night Hammersmith Odeon gig and was chatting to fans outside - as I waited for the band to leave the venue. 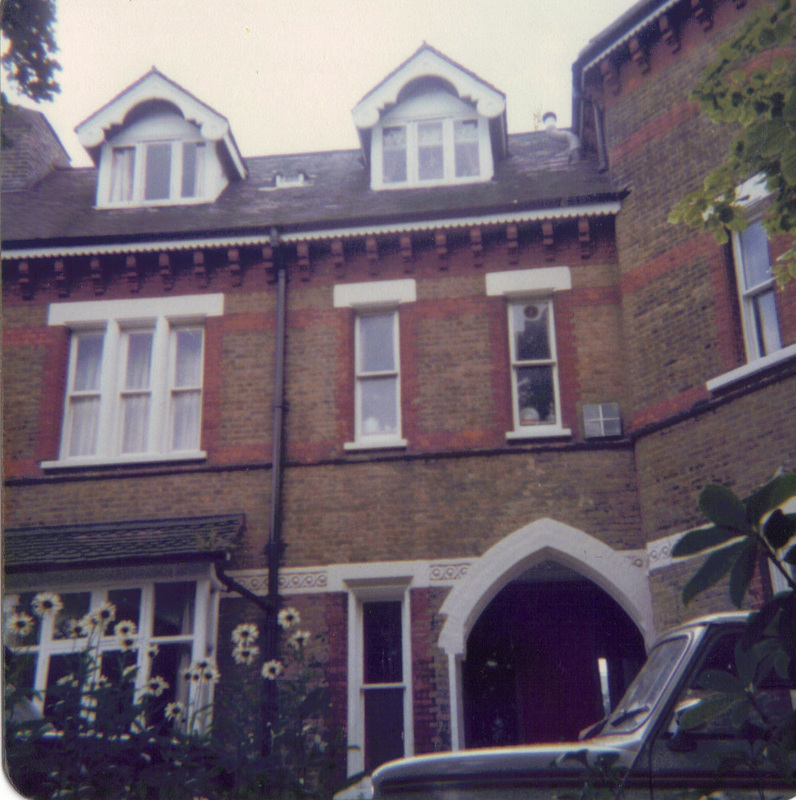 A girl mentioned that she'd found out Jim's new address - the flat he'd purchased in Highgate (Broadlands Road) - as a London bolt hole. Being keen to know the address - I swapped it with her (as you do when you've just turned 14) for Dave Hill's Solihull address (Brueton Avenue) - which I had known for some time as I was a pen pal with a Andrea Smith, who went to the famous girl's school next door. I was amazed. Jim's flat was only 10 minutes on the C11 bus from where I lived. The following weekend I was at a friend's in Highgate and couldn't help but take a look. It was a nice flat in a secluded road. I never rang the door bell - I was concerned that I would piss Jim off if he was busy. I passed the property a few times over the years - hoping that I would chose a time when Jim just happened to be staying and was entering or leaving the property. It never happened. However, I was just pleased that Jim had chosen to buy a property in my part of London. I did eventually visit Jim's flat formally. It was years later when Frank Lea was staying there. He was managing the band called The Crack who had won "Battle of The Bands" on the BBC. Noddy had been on the panel of judges - and was impressed by them. Frank invited them and me - and a barmaid from the Prince of Wales - back to the flat for drinks after a night on the booze in the pub. For most of my life I lived in Ingham Road, West Hampstead. 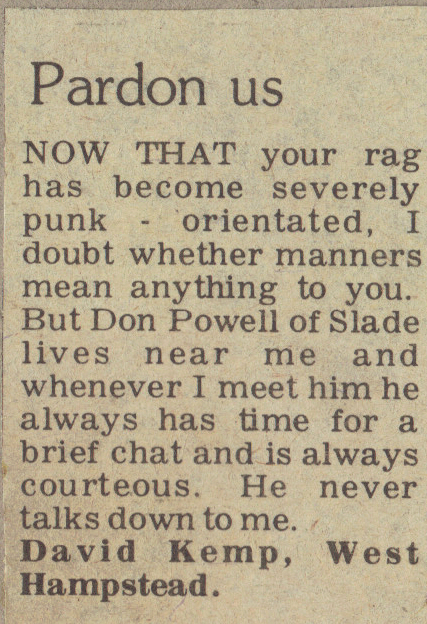 I almost died of a heart attack in late 1976 when I went into the local newsagents (a place called Loaders in Fortune Green Road) to buy a stamp, to post a letter to the Slade Fan Club. As I was queuing I could hear the Black Country accent of a guy in front of me buying a newspaper. I couldn't believe it when I saw it was Don! I chatted and got his autograph - on an article that was in the Evening News that afternoon regarding Nod's wife Leandra giving birth to their first daughter, Charisse. As Don left and got into his Black Mini, I queried where he was living. He said that he had moved "up the road" - pointing northwards up to the Finchley Road. By chance I said "What - Platt's Lane?" 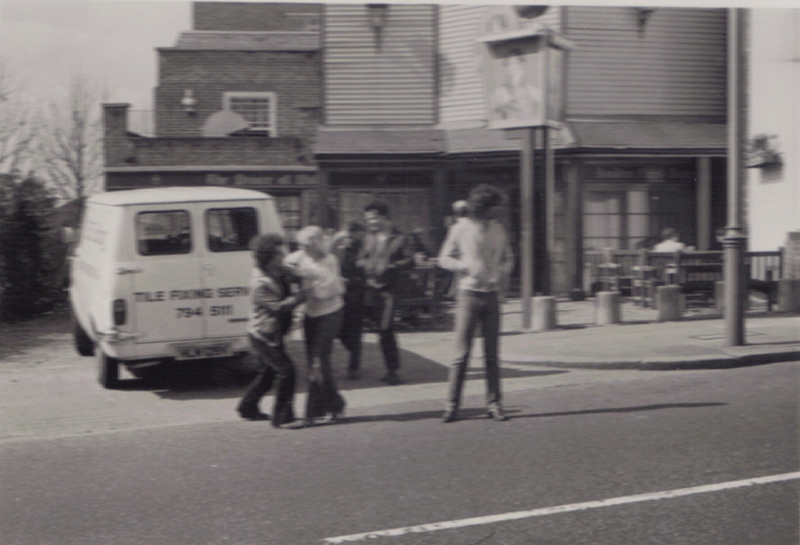 (Platt's Lane was a good location - just the other side of the Finchley Road and was the road that lead up to Hampstead Heath). "Yes. Platt's Lane" replied Don. I was amazed. Another one of Slade had chosen to live right on my doorstep. (Don had completed on the purchase of the flat on 31 May 1976). This was the start of my relationship with Don. In 1976 / 1977 Don became friendly with my cousin, John. John was three years older than me and was regularly drinking in the local pub, The Prince of Wales, on Fortune Green Road. One night, while out drinking, he'd got chatting to Don and asked he wanted to join him and some of his mates who were going to The Purple Pussycat (!) nightclub on the Finchley Rd. Don said that he was keen to go - but was wearing jeans (and wouldn't be allowed in). No problem. My cousin invited him back to his house (three doors away from my parents) where he lent him a pair of trousers. My cousin later took great delight in recounting me this story - especially as he didn't make the effort to invite me along! Over the next few years I saw more and more of Don. I was now at drinking age and met him numerous times in The Prince. 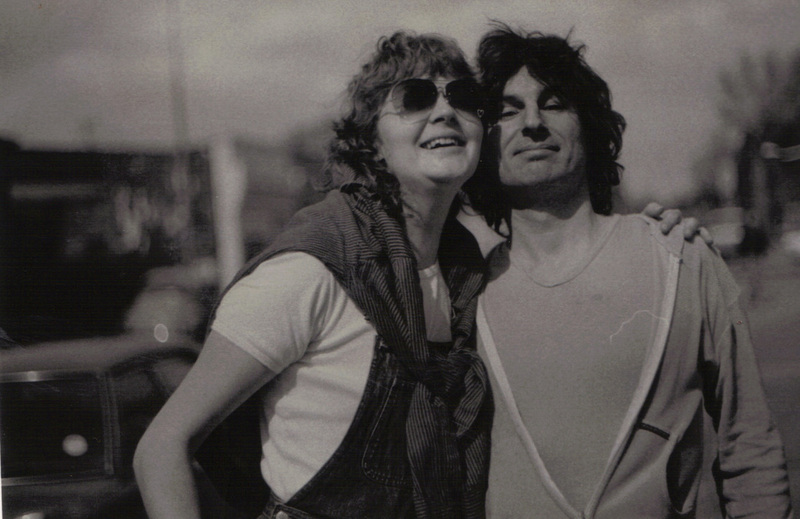 Also, Don was now dating Carol McPhee, a friend of mine who lived in the next road to me. Don and Carol eventually lived together in Platts Lane and Carol and my girlfriend at the time became good friends. I was welcome at Don's Platt's Lane flat. Sometimes I would call when I was passing. If Don wasn't at home, invariably Betty would be there. Betty was Don's reliable housekeeper. (She used to do regular chores and look after the flat when Don was away on tour). Betty was an elderly lady with grey hair, always quite formally dressed. In later years I saw the movie Mrs Doubtfire - and I'm sure Mrs D was modelled on Betty. I remember how shocked my school mates were when I had a "school reunion" for my 21st birthday. 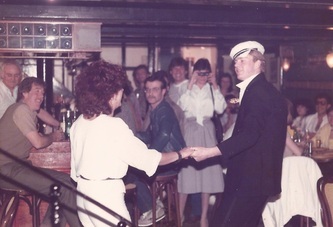 It was a party at my parent's house in Ingham Road in January 1981. I invited all my old school friends for a get-together. They were all knew from school how mad I was about Slade - and were shocked when they found that the drummer from Slade was in my house, quite plastered. (He was one of the first guests to arrive - and hit the booze early on). Don and Carol continued dating for several years in the 1980's. My girlfriend and I used to meet them regularly every Friday, when Slade were not touring. We used to go to a Wine Bar that I found on the Finchley Road called Spirals. It was run by Arthur and Anesta Atkins. Arthur was famous for being an actor on the Candid Camera TV series in the 1970's. He was a great host. band The Look ("I Am The Beat" - hit single in 1981). Don introduced the rest of Slade to Spirals. Jim and Louise used to dine there when in London, Dave Hill went there a couple of times - and Noddy loved the place as much as Don did. Don told me that, during the time he was drinking heavily, he would often call there in the morning, before the place officially opened at lunchtime. The chef, Maurice, would be there early preparing food and he would let Don in. He would serve him drink and chat while he cooked. new window fitted. Two guys were carrying a sheet of glass from their van - when someone in a Rolls Royce opened the window, chucked a brick, and smashed the glass to pieces. 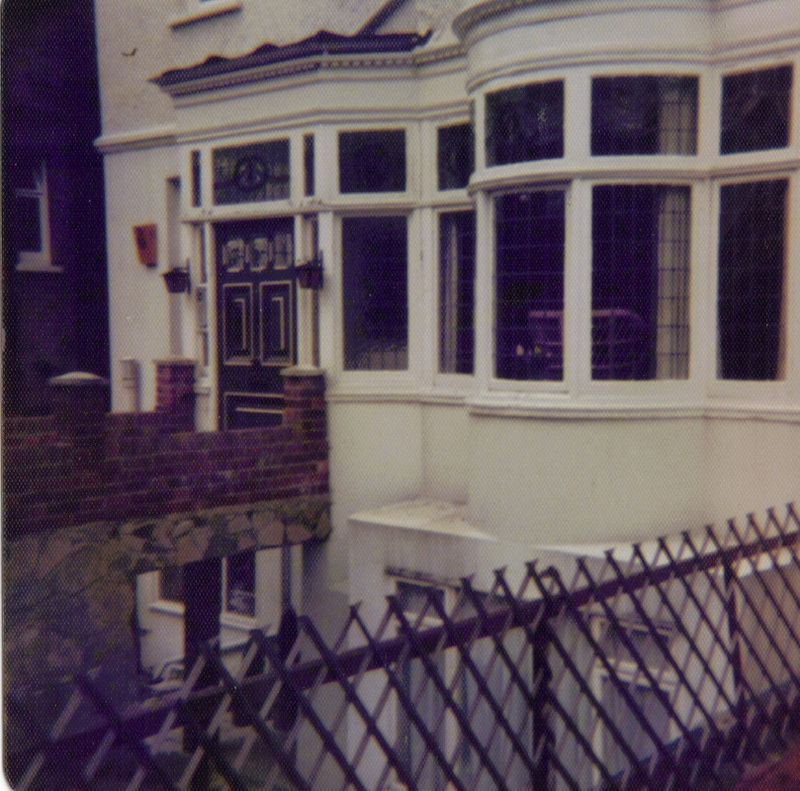 As I mentioned, Don's main flat in Hampstead was in Platts Lane, NW3. However, in the early 1980's Don decided to move flats. He moved approximately half a mile, to a flat in Cavendish Mansions, Mill Lane, West Hampstead, NW6. It was an apartment in a series of a series of five blocks of 1930's flats. Each block had eight flats. Don lived in a top floor flat on the second block. 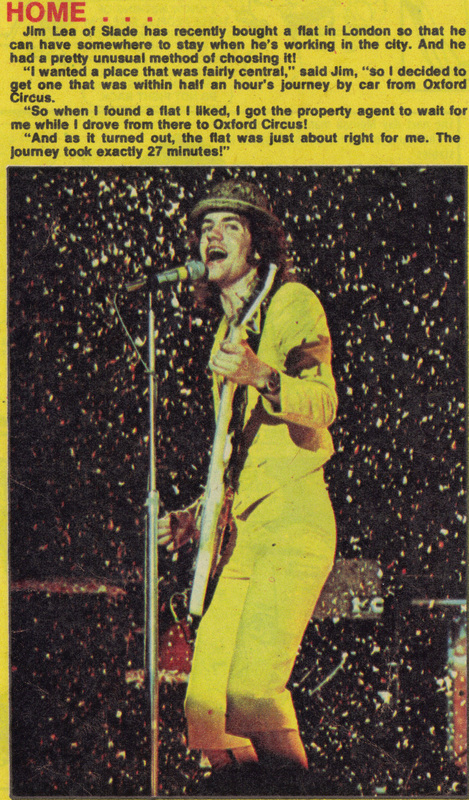 In the early 1980's I remember that Dave Hill would often stay with Don as Slade had a lot of tv work - mainly filmed in London - at this time. The room Dave would use was a somewhat hidden room, behind Don's kitchen. I remember being at Don's flat one evening in 1982 watching a bootleg VHS copy of the First Blood (Sylvester Stallone) film. Don loved the movie. My girlfriend and Don's girlfriend (Carol) were with us. From the street we could suddenly hear someone calling "Carol....CAROL!". Thinking that someone was calling his girlfriend, Don opened the sash window and peered out down to the street. Who was it? It was the Radio One DJ Gary Davies ("Ooh Gary Davies!" - as the jingle used to go). The intercom to the flats wasn't working and Gary was calling his Sister (also called Carol) who lived in the flat below.... He was amazed to see Don! Don loved both Hampstead and West Hampstead. He had happy times with Carol - and spent many of them in Spirals. However, Don and Carol broke-up a few years later over a misunderstanding. After this, Carol sadly died in 1995 from breast cancer. 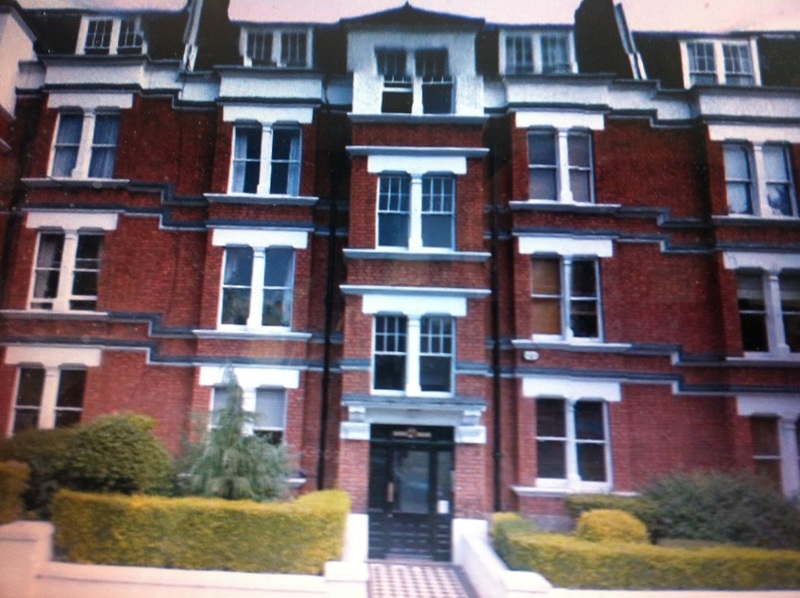 Don later married Joan Komlosy and moved to a flat in Harley House, Marylebone Road, W1. Subsequently divorced, now Don shares his life with Hanna in Denmark. The photos below show a typical night out in Spirals in the early 1980's. Don can be seen with a broad smile in the middle of the pics. Don, his girlfriend Carol (taking photos), me and some other regulars had clubbed in to buy bar-owner Anesta (seen dancing) a strip-o-gram. She loved it. Colin Newman was (and still is) Slade's accountant. How freaky that in 1977 he bought my GP's house (in Weech Road, West Hampstead) that backed on to my parent's house? I became good mates with his wife Mette's sister, Lotte Gredal, who lived with them and was acting as a Nanny to their kids. Lotte was Danish and very flirty. I was actually quite intimidated by her. She kept taunting me with lyrics from the Peter Gabriel song "Games Without Frontiers". She used to sing ...."Hans plays with Lotte, Lotte plays with Dave..........." all the time! She was a quite scary man-eater, well she was to a (then) innocent boy like me. However, she got me to know Colin. I found him quite blunt, to the point, and often quite rude. But if you got past that he was ok - it was all about understanding his humor. I got to visit his office, which was then in Thayer Street, nr Marylebone High Street, quite often. Colin would later give me loads of info on what Slade were doing when I ran the Fan Club. Alan Heywood - Alan was the accountant who worked for Colin who actually managed the Slade relationship. At Newman & Co they looked after the financials for Slade (as a band), Noddy, Jim and Don. But not Dave Hill. Dave had chosen to use a local accountant in the West Midlands. He wanted to keep his financials separate from the rest of the band. Alan Heywood was a great guy. He came from Newcastle, graduated from University, and had come to London to work. 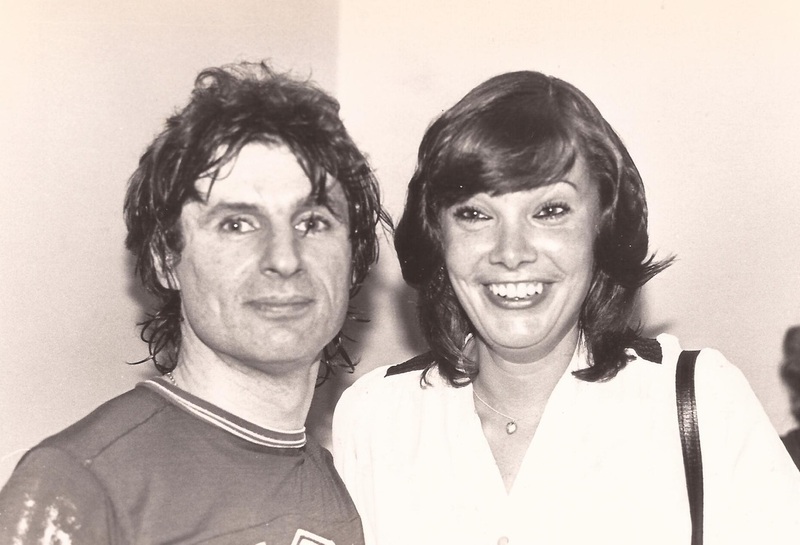 He had a connection with Chas Chandler as his sister married Alan Price's brother, John (Alan Price used to be in the Animals with Chas). I got to know Alan well. He was close to Don and we would often drink together in the evenings. He would sit outside the Prince with a group of friends that included Riff Regan (the singer with punk band London - who toured with the Clash) and would nab me when I walked home from work past the pub - and drag me in for a quick one.....I would eventually get home at midnight! He lived in a flat opposite the pub. Alan was a party animal and he organised countless all night partys in his flat. Despite it being unfashionable in the mid 80's - he would always ask me to bring my Gary Glitter singles. His favourite was "Rock n Roll Pt 2" - which always went down well with the attendees. 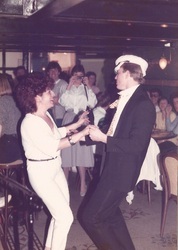 I even remember Don dancing, or should I say staggering to it - when it was played. Alan decided after a couple of years to split from Newman & Co - and set up his own accountancy practice in Cricklewood. This caused major upset with Colin - as Alan took Don with him as a client. As far as I know he still looks after Don's affairs to this day. Alan eventually bought (and sold) my parents house in West Hampstead. When my parents retired they decided to move out of London. I lived with Alan for a couple of weeks while I completed on a flat purchase up the road in Finchley. Alan was a wheeler dealer with property - I only just found out that he also bought and sold Don's flat in Mill Lane, West Hampstead too. Frank Lea - Frank often stayed with Don in his flat in Platt's Lane. And eventually ran Cheapskate Records - using space in the Newman & Co office in Thayer Street, Marylebone. He was good friends with Alan Heywood and could be found in the usual haunts, The Prince of Wales and Spirals. Frank moved his young punk girlfriend, Theresa down to London. She was one of the most shy people I have ever met. She seemed a different person when she eventually found fame as a Sun Page 3 Girl in the 80's (She was listed as Terri from Wolverhampton). Frank obviously found West Hampstead to be a good location to live. He bought a house in my street too - Ingham Road!